CCTV – choose how you view! Home » News » CCTV – choose how you view! For any business, it’s integral that you install CCTV to monitor your premises. 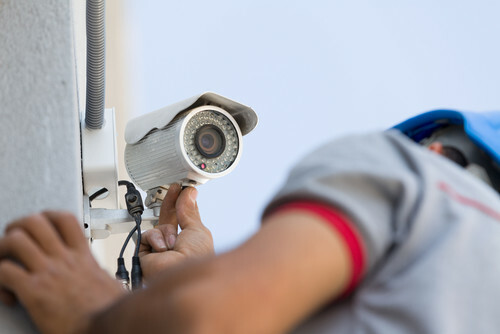 There are a number of benefits to installing CCTV including ensuring your premises, your staff, your assets and even potentially your profits are kept safe. CCTV also acts as a deterrent, dissuading opportunistic criminals from entering your facility for fear of being caught on camera! At MSL we will design, install and maintain a bespoke state of the art digital CCTV protection system based on a detailed understanding of your own business needs. Our cameras can pan, tilt & zoom and can even handle facial recognition. Within your CCTV package we are also able to offer; a choice of viewing platforms, including smart phone and tablets; intelligent analytics; tannoy connection; licence plate recognition and remote monitoring over a secure internet connection. Installing an access control system allows you to know who enters and exits your facility. Meaning that you protect your goods whilst also providing security for your employees and clients. We have a range of systems you can choose; from a single access door to a fully computerized multi-site network, and from fob access to biometrics (finger/palm print access). Installing LED security lighting for your business offers a range of benefits including deterring intruders and providing clearer images at night for your CCTV cameras. We will create a bespoke lighting plan for your business, as well as supplying and installing the system. If you want to find out how we can help protect your business, please call us on 0333 1234450.